Gluten doesn’t make me sick, but the misconceptions about it and the “gluten-free” craze sure make me feel uneasy. Look, I understand that you or someone you know may have irritable bowel syndrome (IBS) or celiac disease, and in that case, my heart goes out to you. Those are terrible conditions, and they can make your life extremely difficult. 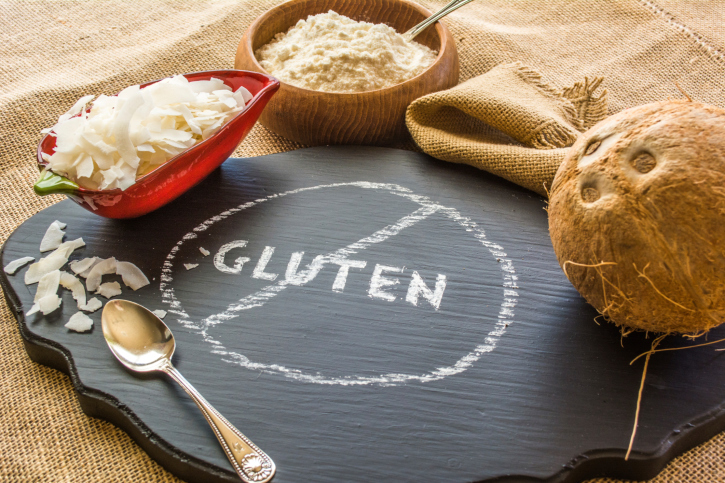 For years, before your condition was a food trend, you likely had a hard time avoiding foods containing gluten. But for the most part, you’re really the only people who are medically recommended to eat gluten-free foods. For the other approximately 92% of people claiming to have a non-celiac gluten sensitivity, it appears your condition just might not exist. That’s right, folks; gluten is apparently not the enemy you think it is. According to a new study, it’s probably not gluten that’s making you sick, but another compound that causes the symptoms associated with gluten sensitivity. And before going any further, I’d like to point out that the scientist behind this research is the same person who declared non-celiac gluten sensitivity was a real thing. It appears not even he believed those results. His new work looks at what’s really at play in how people feel when they stop eating wheat. The answer he found is that it’s not gluten, but a fermentable short-chain carbohydrate called “FODMAP” that is difficult for the small intestine to absorb. The study followed people who reported having non-celiac gluten sensitivity and IBS, but were negative for celiac disease. They started out on a two-week low-FODMAP diet, then went on a high-gluten diet (16 g per day), a low-gluten diet (two grams of gluten and 14 g of whey protein per day), or a control diet (16 g of whey protein per day) for a week. Everybody was tested for intestinal inflammation and other sensitivity issues. Following a two-week washout period, subjects spent three days on either the high-gluten diet, a diet of 16 grams of whey protein per day, or a control diet with no additional protein. Every participant experienced consistent and significant improvements in gastrointestinal symptoms on a low-FODMAP diet, but worsened significantly when their diet included gluten or whey. Only about eight percent had symptoms that were gluten-specific. The doctor said that a gluten sensitivity is something people think they have, but probably don’t. Something he called “a nocebo effect.” A nocebo is essentially a harmless thing that creates a negative effect on the person who takes it. It’s entirely psychological. So basically, it’s not the gluten that’s causing the headaches, stomach pains, and bloating; it’s the FODMAPs. FODMAPs are found in a number of foods, including high-gluten foods. However, they come from a variety of sources and don’t necessarily mean that people who claim to have a gluten sensitivity need to completely avoid gluten. Here are some popular examples of high- and low-FODMAP foods. So if you’re considering a gluten-free diet due to a perceived sensitivity, try cutting out these high-FODMAP foods first. Gibson, P., et al., “No Effects of Gluten in Patients With Self-Reported Non-Celiac Gluten Sensitivity After Dietary Reduction in Fermentable, Poorly Absorbed, Short-Chain Carbohydrates,” Gastroenterology Journal web site, May 6, 2013; http://www.gastrojournal.org/article/S0016-5085%2813%2900702-6/abstract. “The Monash University Low FODMAP diet,” Monash University web site, 2014; http://www.med.monash.edu/cecs/gastro/fodmap/low-high.html, last accessed May 28, 2014.